Newly-opened high-speed train line still plagued by technical problems and delays less than a month after inaugural run. The newly-opened Jerusalem-Tel Aviv high-speed train line continues to suffer from technical malfunctions and maintenance delays, less than a month after the line’s inaugural run. On Tuesday morning, two departures were cancelled amid technical malfunctions in two separate trains. 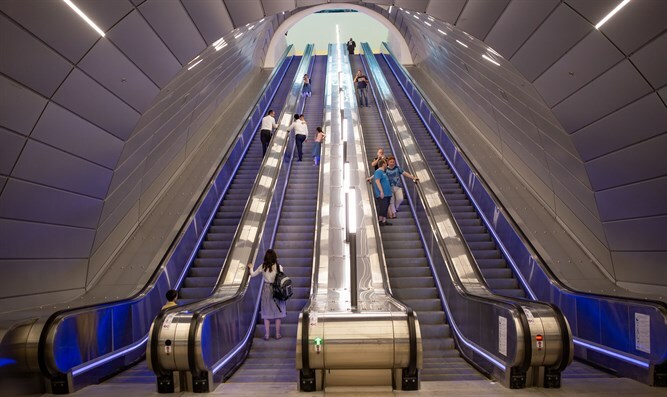 The rail line, originally slated to open on March 30th, was inaugurated on September 25th, though only the Jerusalem-Ben Gurion segment – linking the capital with Israel’s largest international airport – is currently operational. Passengers heading to Tel Aviv must transfer at the airport. Since its opening, the line has suffered from numerous technical problems and delays in installing maintenance and monitoring equipment, forcing multiple train cancellations. Earlier this month, a Jerusalem-bound train stopped mid-journey, and was stuck inside a tunnel for well over an hour. Another train halted following a power failure on the tracks. Days after these two incidents, Israel Railways was forced to cancel four train departures. Under fire for the line’s repeated failures, last week Transportation Ministry Director Keren Terner explained the decision to open the new train line last month, despite the fact that work was not yet completed, Hahadashot reported. On Tuesday, the high-speed Jerusalem-Tel Aviv train line ran with limited service, after two trains set to depart from Jerusalem’s Yitzhak Navon Station were found to be malfunctioning. The technical problems reduced the frequency of trains Tuesday morning to just once every hour.